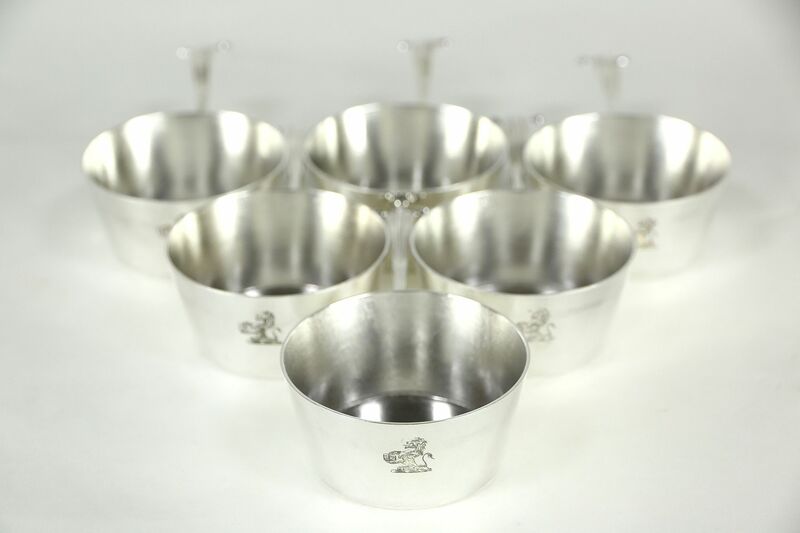 A set of six English silverplate sauciers or butter individual serving cups have hallmarks. There is minor wear and scratches on this individual serving ware, see photos. The family crest or coat of arms is engraved as shown, it could by adopted by your family. Size is 2 1/2" diameter and 4 3/4" long. Please view 25 photos at full screen size for best detail. USPS Shipping is $8 in the US.